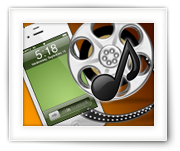 Some of you might have read one or the other article at Tweaking4All, related to moving Audio and/or Video files to your beloved iOS device (iPod, iPad or iPhone) without the use of iTunes. Not many of us like iTunes, and that includes me. As a response to one of these articles, one of the Tweaking4All visitors recommended WALTR, a new application available for the Mac OS X and Windows platform, which allows copying music, ringtones and video files to your iOS device without iTunes. As usual, I was pretty skeptical as we have all seen too many of these “miracle apps”, especially when they are not free. WALTR is not free either and initially, $29.95 sounds pretty steep for such an application, but I promise you: it’s worth it! It makes transferring audio and video to your iOS super fast and super simple. So if you frequently want to transfer audio and/or video files to your iOS device, then I can highly recommend this application! If you want to do it only once or twice, then at least consider using the free trial version. In this article I’ll discuss the Windows version, and will give you a quick overview how to get started, and what it does and does not do, and some tips and tricks that might be helpful. I did write the same article for Mac OS X as well. In this article I’ll discuss the Mac OS X version, and will give you a quick overview how to get started, and what it does and does not do, and some tips and tricks that might be helpful. I have also written a Windows version of this same article. Making your own Ringtone isn’t difficult, but it can be a bit daunting at times how to exactly do it. In this article I’ll show you how you can create your own ringtones, from music files like MP3’s or even from movie files like AVI, MP4, etc. For this we will use WavePad which is available for Windows and MacOS X for free (for home use). Note that if you only want to create ringtones from an MP3 that’s already on your Android phone, an app like RingDroid (free) can do the editing right on your phone as well. iPhone users can read these 2 articles for doing exactly the same: Windows and MacOS X make Ringtones from MP3 or Movies. Unfortunately, creating a ringtone for an iPhone can be surprisingly daunting … and in my opinion that doesn’t exactly match the Apple philosophy … oh well. It’s even more difficult than with the good old flip-phone, so much for “smart” phones. After writing an article how to do this under MacOS X, utilizing iTools and QuickTime, I of course had to write an article for Windows users as well. In this article: How to make a ringtone for your iPhone, from an Audio file (WAV, MP3, etc) or a Video file (AVI, MP4, etc), trimmed to the desired length and uploaded to your phone using totally free tools. Creating a ringtone, back in the day, from an existing MP3 for my good old cellphone(s) was relatively easy. Trim the MP3 and copy it to your phone, either directly or by email. These days however, with these “wonderful” smartphones like the iPhone, using an MP3 as a ringtone seems more complicated than ever. In this guide I’ll show you how to quick and easy create and install a MP3 ringtone under MacOS X. 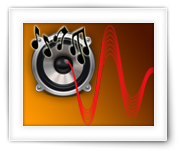 The source can be basically any audio or video file with the trick we show here. 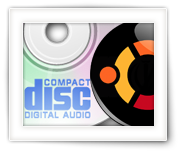 In this article I’ll show you, based on Ubuntu and ASunder, how to copy Audio CD’s to MP3 files. 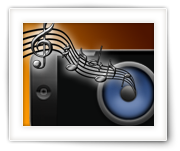 We will be converting our Audio CD with the use of iTunes – it is free and actually does a great job when it comes to ripping and collecting meta data (thumbnail image, proper titles, etc.). I will also show you how to do this with Windows Media Player that comes with your Windows. 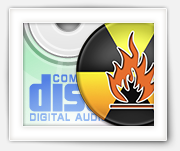 Note for XBMC users: XBMC has Audio CD Ripping functionality build in. 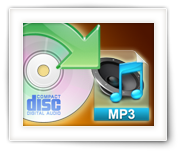 We will be converting our Audio CD with the use of iTunes – it comes with your Mac and actually does a great job when it comes to ripping and collecting meta data (thumbnail image, proper titles, etc.). I will also show two alternatives: XLD and QuickTime. I’m not much of a music buff but it is a question that I hear very frequently: “Where can I get those MP3’s?”, “Where can I download that song?”, etc. Since there are lots of options, anywhere from legal, maybe-legal, to very unlikely legal, that a simple and straight forward is really not that easy. 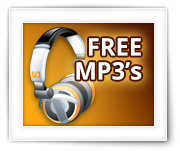 In this article I’ll explain where, what and how you can get your hands on those MP3’s you’re looking for. We take music and movie soundtracks for granted … it’s there and we never really worry how or why it all works. Like with all things in life – when you understand the basic workings of something, you’ll be much better at trouble shooting issues, which goes for Audio as well so in this article I’ll show you (simplified) how audio works, how your computer handles it, and how you can hear the music produced by your computer or other device through a speaker or headphone. I just finished an article on how to burn an Audio CD for MacOS X users, and there is already a request for a Windows version of this article – so here it is! Audio CD’s are still used. Either to protect the original CD you bought when it’s laying in the car, to compile a CD with your own favorites, or to make a CD from MP’3 you bought legit at Amazon.com or the AppStore. 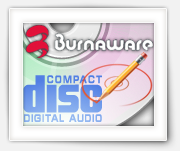 For this article I’ll use “Burnaware Free” – a free version of the commercial Burnaware, yet very capable of creating Audio CD’s (and others) with just a few clicks. There are a lot of reasons why one would want to make their own audio CD. Not everybody has a car with an audio system that is MP3 capable, not all audio CD albums have that particular mix of songs that you like, and most CD’s do not do well when exposed to the temperatures in your car on a sunny day. I’m not a fan of iTunes, so for this article we are going to use a tiny, but great program, called “Burn“, which allows you to quickly burn our own audio CD, with little to no effort. 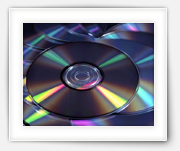 CD Media: How a CD works, Media types, Labeling, etc. CD’s are probably not as popular anymore as they used to be, everybody has an MP3 player or device capable of playing MP3’s and a DVD disc, BluRay disc, or a USB stick holds a lot more data,… so why bother? There are however still plenty of people out there that actually use CD’s. At home or in their car with their audio system, or to quickly burn a few files on a disk for a friend. In this article: How do CD’s work, what kind of media should I use, how do label CD’s, etc.